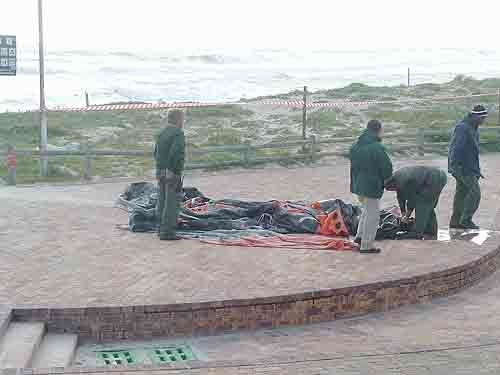 On the 7 th September 2009 the wind and weather found another victim in Table Bay. 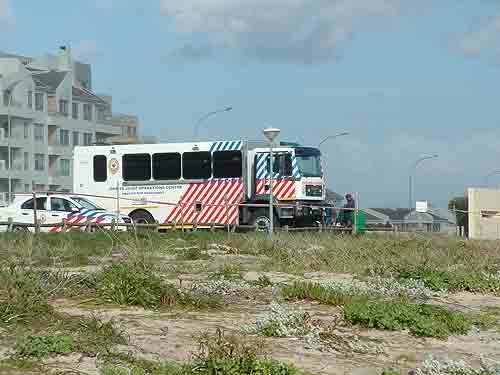 The fourth since 19 th August 2003 when the Sealand Express ran aground about three kilometres south of where the Seli 1 now lies. 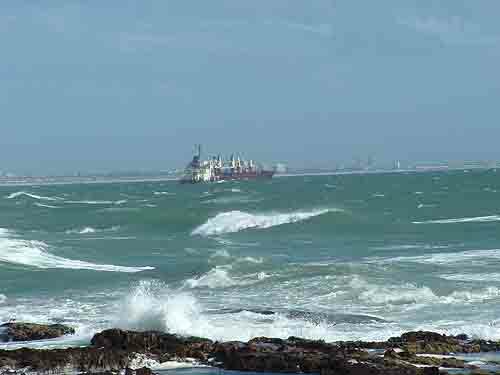 Table Bay has in excess of 300 wrecks lying in the sands along the coastline and most of these wrecks have occurred during the winter months when the northerly storms lash Table Bay. 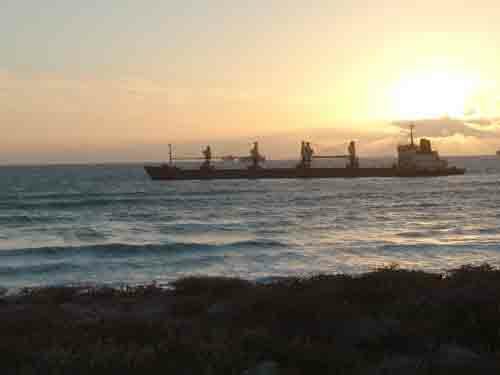 In these modern times it amazes me that ships entering Table bay during the winter months actually drop anchor and switch off their engines. Surely the record of Table bay speaks for itself. The bay has a sandy bottom and when storms churn up the seabed the anchors of the vessels drag and the ships run aground. 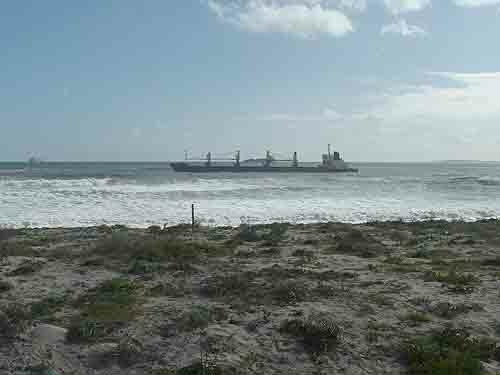 Fortunately 5 years ago when the Sealand Express ran aground on a sand bank salvors managed to lighten its load and were able to drag the ship off much to everyone's relief. The sun is sinking on the Seli 1 whose useful life is now over. Unfortunately the Seli 1 is not going to be so lucky. 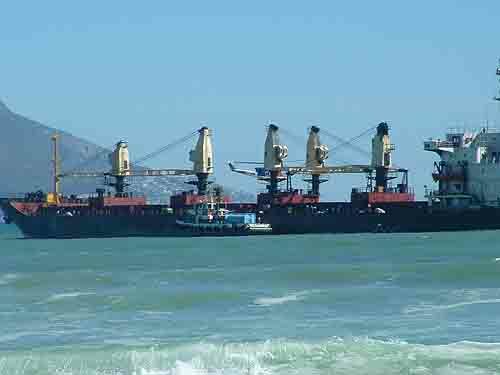 It ran aground with 660 tonnes of fuel and a cargo of 30000 tonnes of coal on board and was holed in the process of running aground. The authorities have managed to remove most of the oil and reduce the pollution threat from oil but can you imagine what will happen to the pristine shoreline should the ship break up in rough seas and spill its load of coal onto the beach. It appears that the ships owners have deserted their ship on our shoreline and are leaving us with the protection and removal of the wreck. I have been following the progress of the ship since it ran aground by taking a few photos every few days. In the two months that the ship has been aground you can already see the damage that the sea is doing to the ship. Its engine room which is flooded has sunk lower into the sand and when the sea is rough the waves are breaking over the stern of the ship. This photo of the ship paints an illusion that the ship is breaking in two. In my estimation all we need is another really bad storm and the ship is going to break up. 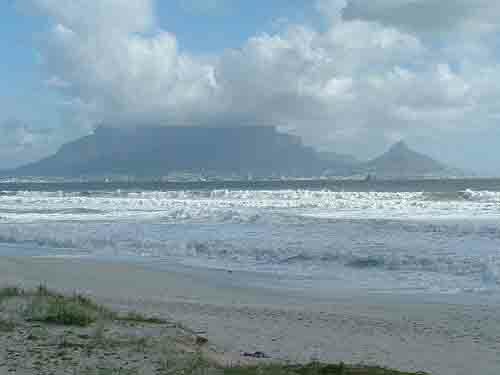 The good news however is that we are going into our summer season here in South Africa and that will stop large seas from reaching the shore and battering the ship. The authorities however should take cognisance of this fact and start removing the cargo and the hull before 2010. No one wants a beach full of coal for the world cup.